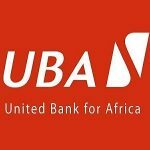 Nigerian Undergraduates and Fresh Graduates that have been looking for places to do their Internship programs in the Banking sector should search no further because the United Bank for Africa (UBA) has started fresh 2019 recruitment in order to enable Undergraduates and Fresh Graduates Apply and pass through the UBA recruitment process, which the ones that become successful at the recruitment can take part in this latest UBA Internship Program 2019. So Nigerians that fall into this Undergraduate and Graduate categories should continue reading the full details of this UBA Internship program. The Apply for a Job team has also added the UBA recruitment portal 2019 in the How to Apply section of this UBA recruitment 2019/2020 so that qualified Students and Graduates can easily Apply online. Being an Intern at the United Bank for Africa Plc will offer you a wide range of training, ranging from Banking to Personal career development. The UBA group will expose you to lots of Banking facilities, which will make you learn and know the Global Standard of Banking. 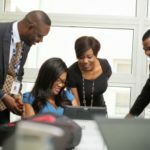 If you are someone that hardly work with other People, then participating in this UBA Internship Program will enable you to learn how to do very good work with other UBA Staff. Being an Intern at UBA will expose you to various aspects of Banking works, which will make you have good Banking and Finance knowledge. Applicants should be Undergraduates that are already at the third or final year of their academic program at the University. This UBA Internship Program 2019 is also for fresh Graduates that are currently doing their National Youth Service Corps program. 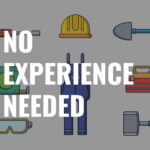 Corpers that have been looking forward to Applying for UBA Graduate Trainee recruitment 2019, UBA Graduate Trainee 2019, UBA Entry Level recruitment 2019 are encouraged to Apply for this Internship Program through the UBA recruitment portal 2019. Nevertheless, they should know that this Internship program will be taking place at the UBA head office in Lagos State.